The 'Esvagt Bergen' and her sister vessel the 'Esvagt Stavanger' are ready for three additional years on contract. Eight years of mutual trust and cooperation are about to be extended, as Equinor and ESVAGT add a minimum of three years to their cooperation in the southern part of the Norwegian sector. 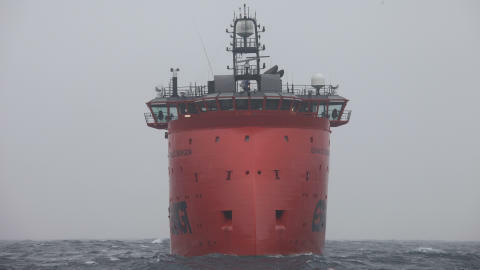 Here, the ‘Esvagt Bergen’ and her sister vessel the ‘Esvagt Stavanger’ have, since 2011 and since 2012 respectively, provided standby duties for Equinor, and both parties wish to prolong their cooperation, thereby modifying the contracts’ end date to 2022. ‘We are delighted to continue the mutual cooperation that we have had with Equinor and the trust that it demonstrates. The two vessels have allowed us to firmly establish our presence in the Norwegian market, and we look forward to build upon that’, says Ib Hansen, Head of Commercial at ESVAGT. ESVAGT will carry on with tasks such as standby duties, supply duties, oil spill response, and firefighting. These tasks impose certain expectations on the crew and on the equipment. Both the ‘Esvagt Bergen’ and the ‘Esvagt Stavanger’ are built in a way that enables them to speed up, even in rough weather, and they can hereby cover an area of a considerable size, and both vessels also have daughter crafts on board, which widens the possible outreach. ‘Equinor is a significant player who challenges us and makes us better. 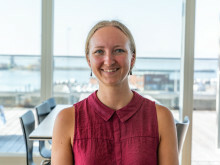 Equinor has high expectations to for instance quality, safety and environmental considerations – these are demands that help us develop and sharpen our competences’, says Ole Ditlev Nielsen, Business Development Manager at ESVAGT. ESVAGT is a dedicated provider of safety and support at sea and a market leader within offshore wind solutions. We support the offshore Oil & Gas industries with a wide range of specialized services: Standby, Emergency Response and Rescue Vessels (ERRV), Oil spill response, Firefighting, Tanker assists, Rig moves, Supply services and Interfield transfer of cargo and personnel. We service offshore wind farms and have a fleet of dedicated Service Operation Vessels (SOV), which ESVAGT pioneered in 2010. The SOVs provide accommodation for technicians, spare time facilities, offices and conference room, storage for small turbine parts, workshops, etc. The SOV offers flexible personnel and equipment transfer capabilities by either Walk-to-Work gangway system or Safe Transfer Boats. After a long process, ESVAGT has finally got its third X-bow vessel ”Esvagt Stavanger” home from Spain. The vessel has been chartered for Norway.